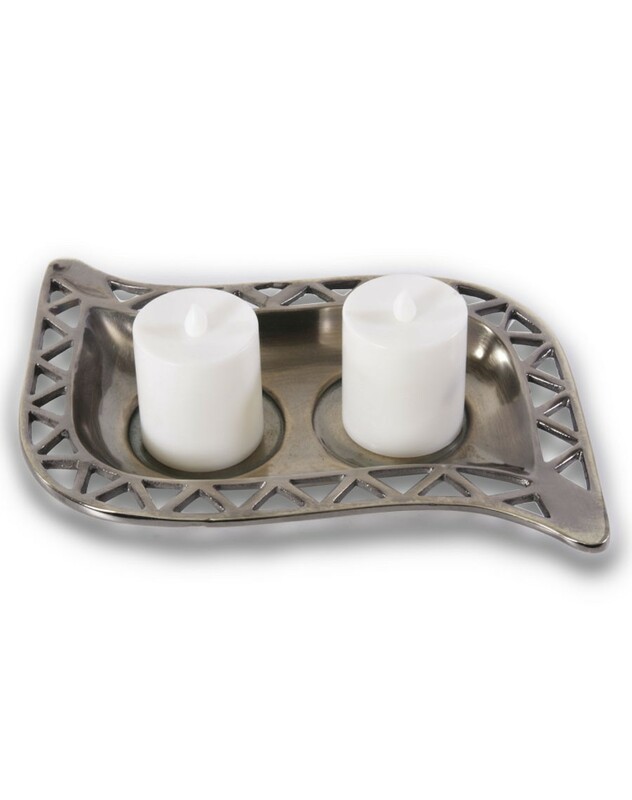 Size of Product: L-13" X W-7" X H-1"
This is a flat candle holder which has a provision of keep two big candles. The top of the plate have zigzag designs. It is shaped like a triangle and has a Nickel finish. It is light weight and a good centre piece for the table. It is flat and easy to place on any space that you have indoors or outdoors. A good piece to use for a candle light dinner.